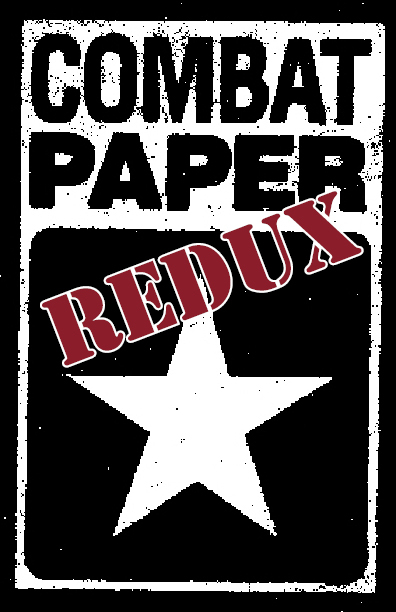 Celebrating our 5th Anniversary, we have brought COMBAT PAPER back to Syracuse! 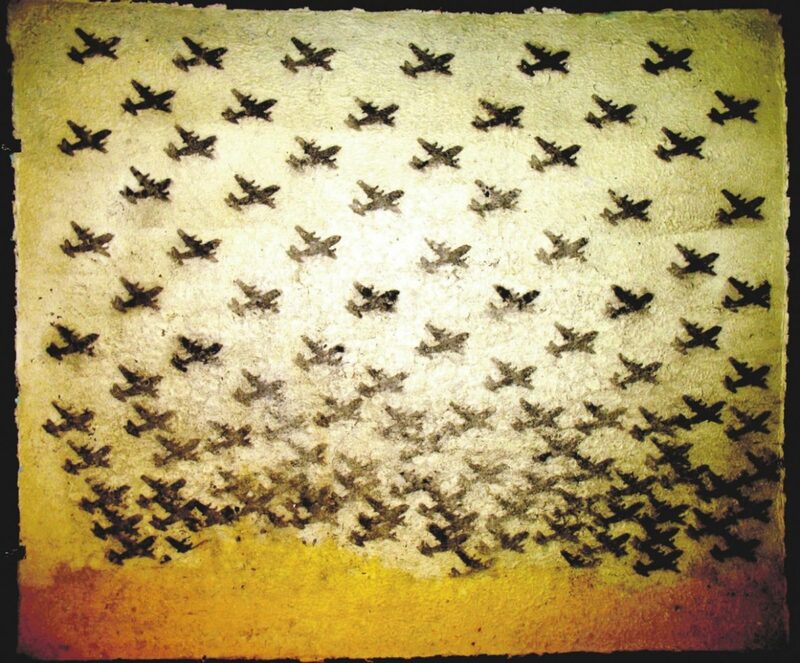 An earlier version of this exhibit featuring images on paper made out of shredded combat uniforms was our Grand Opening exhibition in October 2008. The Combat Paper project began as art therapy utilizing paper as its medium and has been generating hope and inspiration for war veterans of Iraq, Afghanistan and yes…Vietnam. 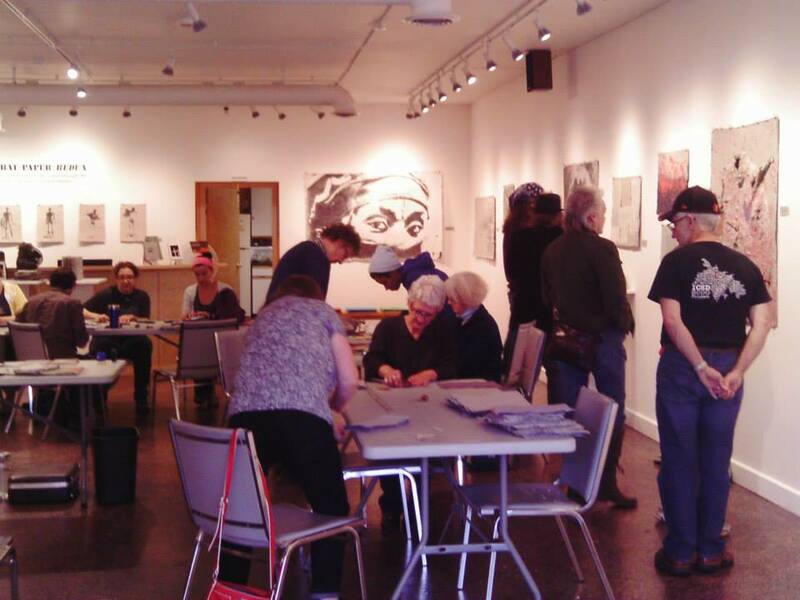 While anti-war activists are portrayed as unpatriotic and focused only on the negative, the project has proven to have a positive impact on veterans, serving as a visceral statement of the long lasting effects of combat and as a catalyst for community discussion and activism. 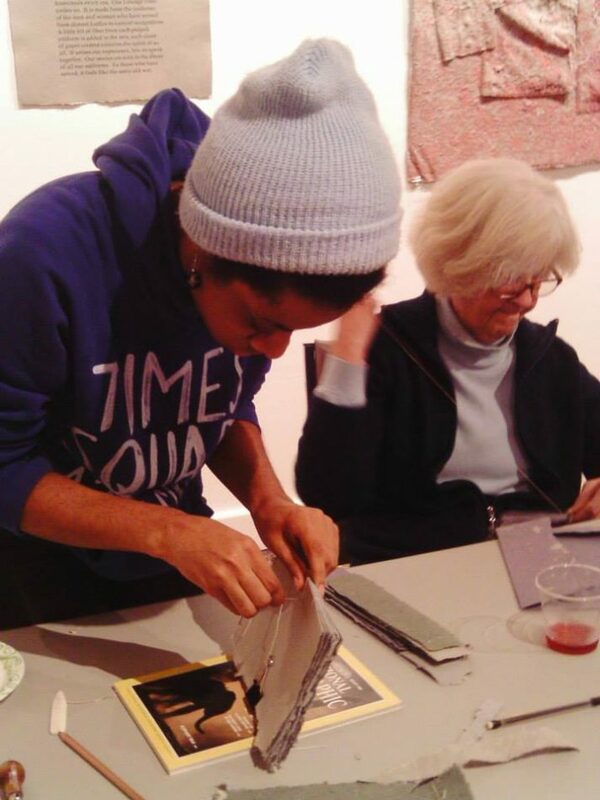 The art came to us from all across this country, including work from the Combat Paper Studio in Ithaca, New York. 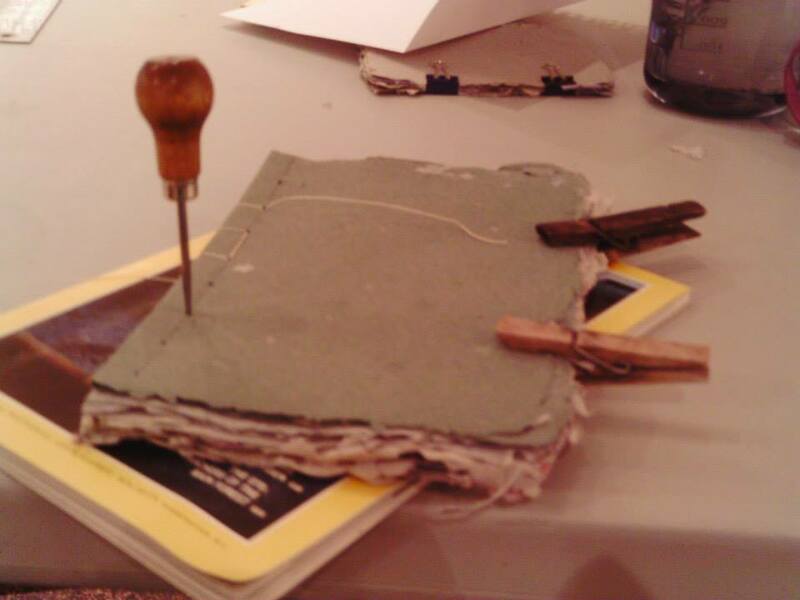 A companion piece to the paper-making project is the Warrior Writers’ Project where veterans are encouraged through workshops to write about their feelings since coming home. 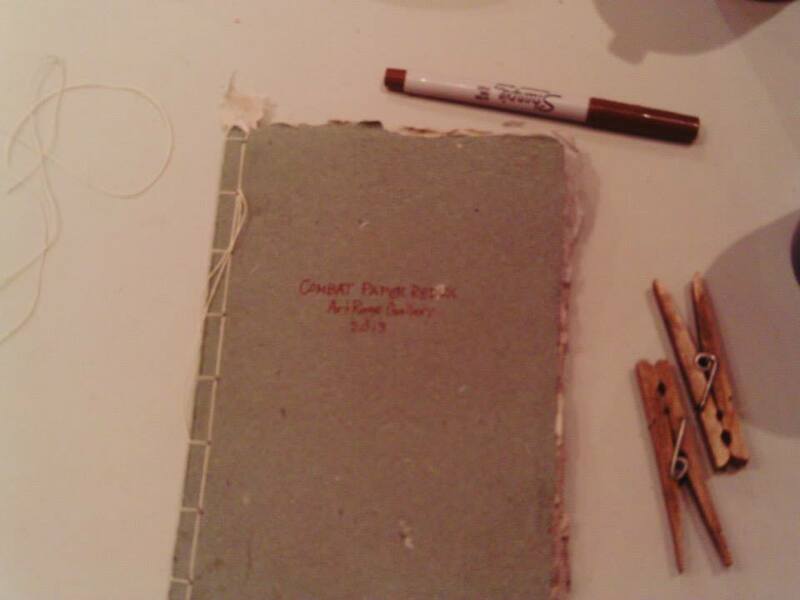 The words have been printed on hand-made combat paper and bound into books. This project provides an opportunity for veterans to come together and connect, reconcile and heal through sharing their words with each other. 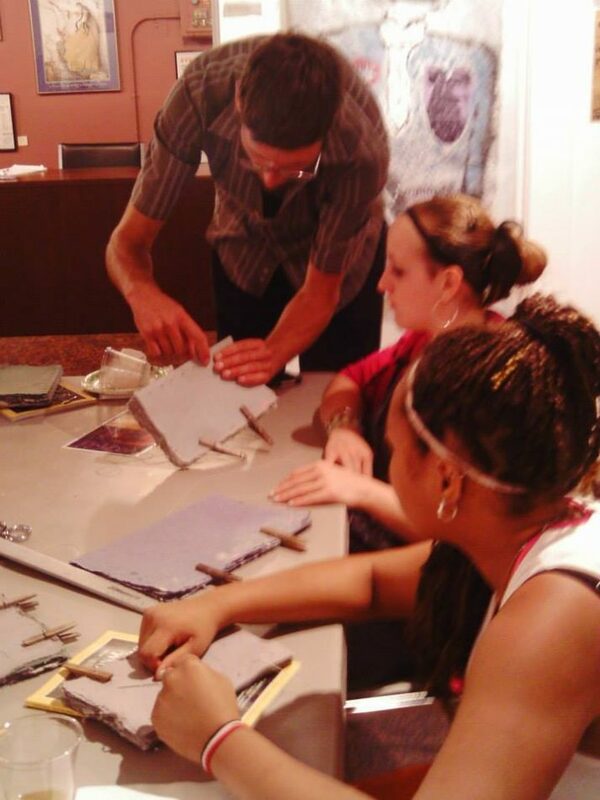 We featured a Warrior Writers’ event and journal making workshop with vets from Ithaca during the exhibition. Exhibition Sponsors: Brian Caufield & Kathy Barry, Annemarie Deegan, Julia Ganson, Laurie Gilmore Selleck,Ann Jamison, Deirdre Neilen, Walter Putter & Marilyn Smith, George Savage, Marie Summerwood, Ann Tiffany & Ed Kinane, Ron Van Norstrand, Carmen Viviano-Crafts,- and the Zaker/Sanders family. Season Sponsors: Dik Cool, the Holtz Family Fund, Mary Kuhn, Robert Sarason & Jane Burkhead, Jeff Unaitis and Amy Zamkoff.